Queen Creek, Arizona to/from Phoenix Sky Harbor International Airport (PHX). Great Flat Rates! More often than not, our town car flat rate fares to and from Queen Creek and the Phoenix Airport (PHX) are less than taxis charge for the same service. So, why travel in a taxi when you can travel to the airport in style and comfort in any one of our luxury vehicles. >> VIEW OUR RATES. A Luxurious Vehicle Fleet. Whether you are a single executive, traveling couple or a large group, Roadrunner has the right vehicle for you. Depending on the amount of passengers, Roadrunner Limousine’s fleet includes town cars, limousines, SUV’s, passenger vans and even 30+ passenger coaches. All our vehicles are clean, comfortable, private late model luxury vehicles equipped with GPS Navigation systems. 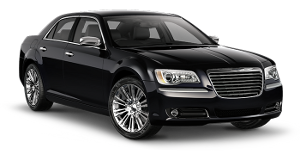 So, why take a bumpy taxi from Queen Creek to PHX when a luxury vehicle is available at Roadrunner Limousine? Roadrunner Limousine, serving Queen Creek and Phoenix, Arizona, provides exceptional service for its executive clients. Our executive guests expect reliable, convenient and comfortable transportation to or from Queen Creek and the Phoenix Sky Harbor International Airport. As important as it is to provide our executive passenger with optimum service, working effectively with their executive assistants and travel coordinators makes everyone’s job easier. For them, we have a state-of-the-art online booking and account monitoring system accompanied by a highly trained staff to help develop and execute the most sophisticated travel plans that any busy executive or corporate group might need. First Time Coming to Queen Creek, Arizona – Did You Know? The Town of Queen Creek incorporated in September 1989 to preserve the benefits of rural life and provide avenues for managed change. In the early 2000s, the accelerated development experienced by nearby cities in the 1980s expanded out to Queen Creek and the outlying areas. Throughout the 21 years of its incorporation, the Town has sought to maintain the community’s friendly, small-town spirit amidst tremendous growth, while providing economic and recreational opportunities and a high quality of life. With overall lower-density residential areas, preservation of open space, a variety of parks and recreational activities, spectacular views and multi-use trails, all among a vibrant economy, the Town of Queen Creek offers the convenience of the city with the comfort of the country. The Town of Queen Creek’s unique character continues to be upheld and enhanced through a clearly defined vision and mission, supported by strong values and several award-winning plans designed to guide the community’s future. The Town of Queen Creek is primarily located in the southeast corner of Maricopa County with some overlap into Pinal County. The city of Mesa borders the Town to the north, and the town of Gilbert borders it to the east. Queen Creek is within 10 minutes of Phoenix-Mesa Gateway Airport and 45 minutes of Phoenix Sky Harbor International Airport. Knowing if you live within the Town’s jurisdictional boundaries is important because the Town has authority to regulate development and offer many of the public services it provides only within the Town boundaries. Outside Town limits, the county governments provide most of the local services and decide all land use and zoning issues. Note that many addresses with a Queen Creek mailing address or Queen Creek ZIP code are not located in the Town limits. When you have questions or need public services, it’s important to know which source to turn to.